Authored by a geophysicist with more than 50 years of experience in research and instruction, Reflection Seismology: Theory, Data Processing and Interpretation provides a single source of foundational knowledge in reflection seismology principles and theory. Reflection seismology has a broad range of applications and is used primarily by the oil and gas industry to provide high-resolution maps and build a coherent geological story from maps of processed seismic reflections. Combined with seismic attribute analysis and other exploration geophysics tools, it aids geologists and geo-engineers in creating geological models of areas of exploration and extraction interest. Yet as important as reflection seismology is to the hydrocarbon industry, it’s difficult to find a single source that synthesizes the topic without having to wade through numerous journal articles from a range of different publishers. 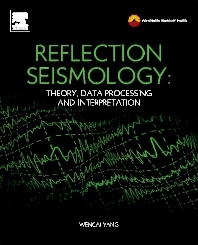 This book is a one-stop source of reflection seismology theory, helping scientists navigates through the wealth of new data processing techniques that have emerged in recent years. The primary audience includes exploration geoscientists and geo-engineers working on seismic data processing and interpretation, and software engineers who develop computer algorithms for seismic exploration and production. The secondary audience includes instructors and graduate students taking related coursework in geophysics.